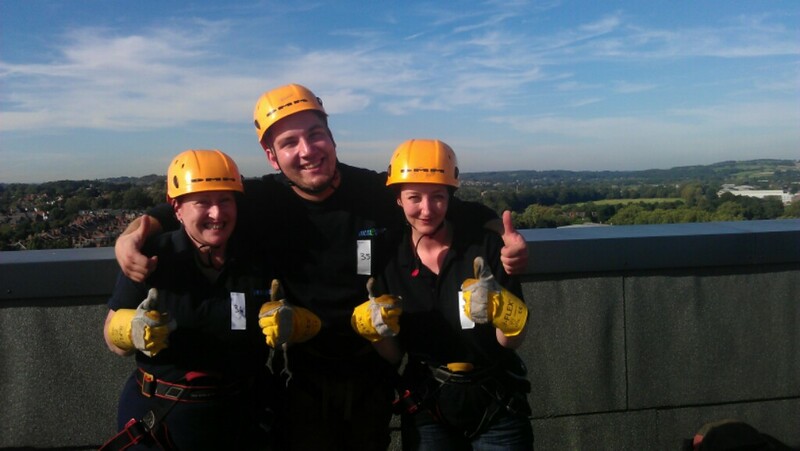 Medequip | Andrea, Nicky and Adam scale new heights for Derbyshire Sight Support! On Saturday 8th September ’12 Andrea Bickerton, Nicky Fraser-Hogan and Adam Halaszczyk took part in the corporate challenge by abseiling down the 100ft Jury’s Inn in Derby. The team raised over £300 for Derbyshire Sight Support, an organisation which Medequip is proud to support. Great result! Andrea thinks fire–walking is next, so watch this space!